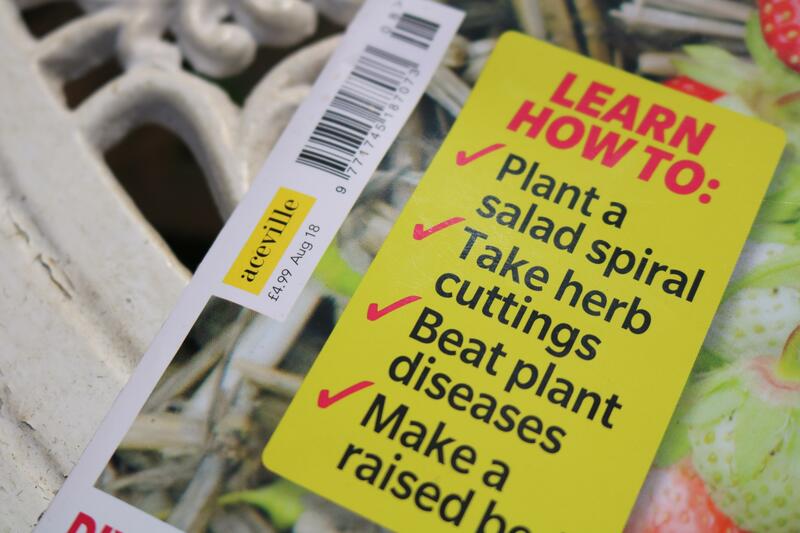 Home Garden Therapy Grow Your Own Magazine! July is turning into a great month already despite the sweltering heat we are dealing with right now! Not only is the plot producing bountiful and delicious harvests and the flowers are blooming beautifully but I’m learning to be a little bit proud of myself and how far my Lavender and Leeks journey has come. 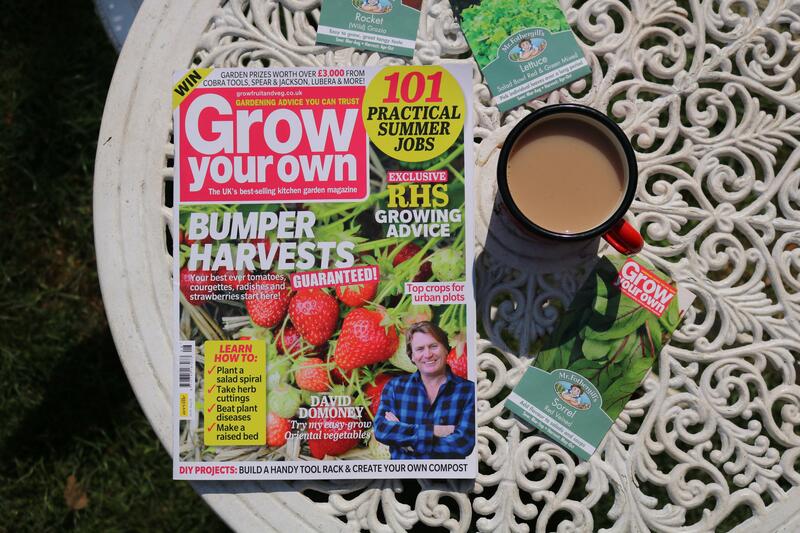 A month ago Grow Your Own Magazine approached me and I’m pleased to share with you all my little article inside the August issue which is out to buy now. 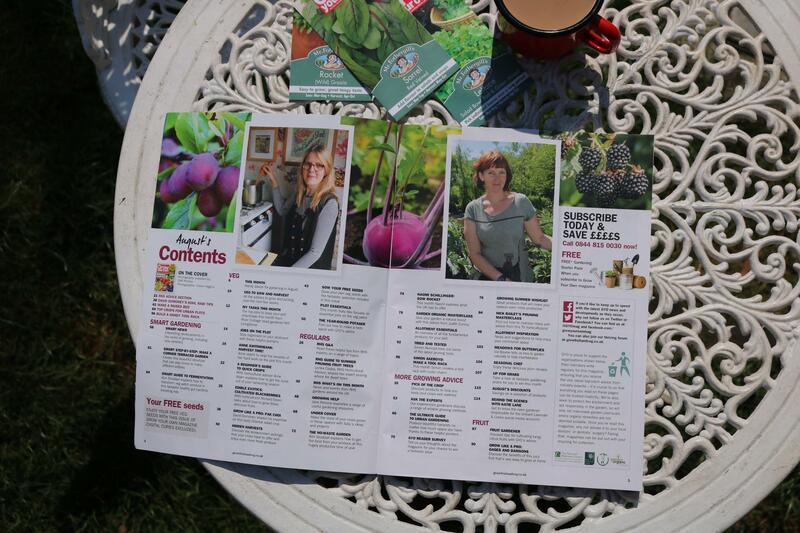 I’m so pleased with how it’s turned out and I even made it onto the contents page too! 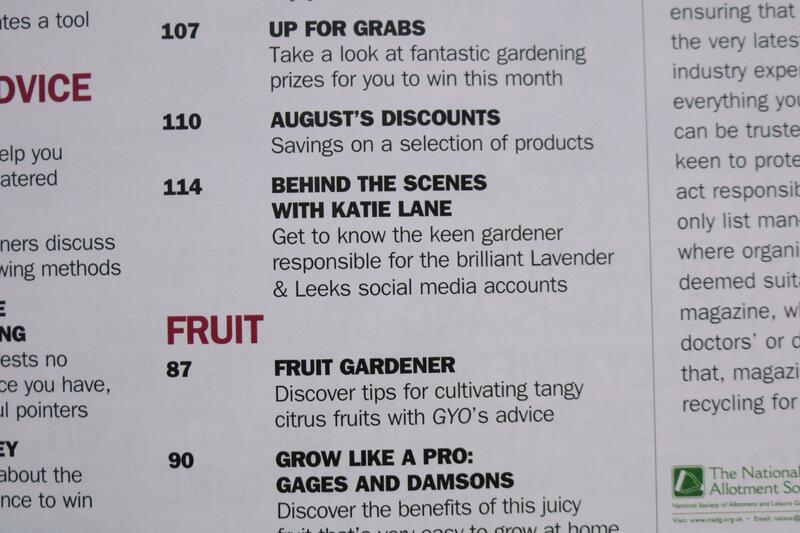 I’m usually so hard on myself but I couldn’t help but beam with joy and pride when reading the article, Grow Your Own Magazine is such an amazing magazine full to the brim with all things fruit and vegetable related, so to see my face and name amongst the contents page was a highlight of the year. 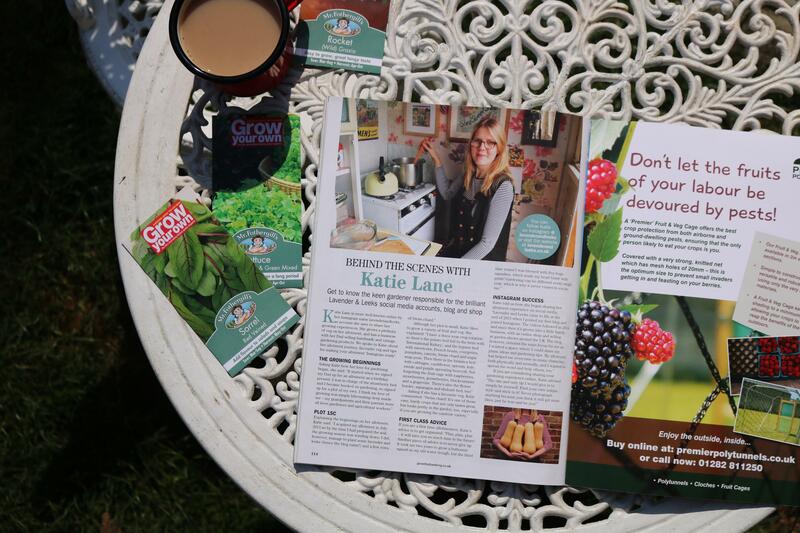 Not only am I proud of myself but I’m happy to be putting the message out there that anyone can garden anywhere. It’s not about age or gender or fitting into stereotypes. It’s about creating a space that not only makes you happy but provides you with homegrown goodness and beautiful flowers too. It’s like watching you grow up! Congrats!